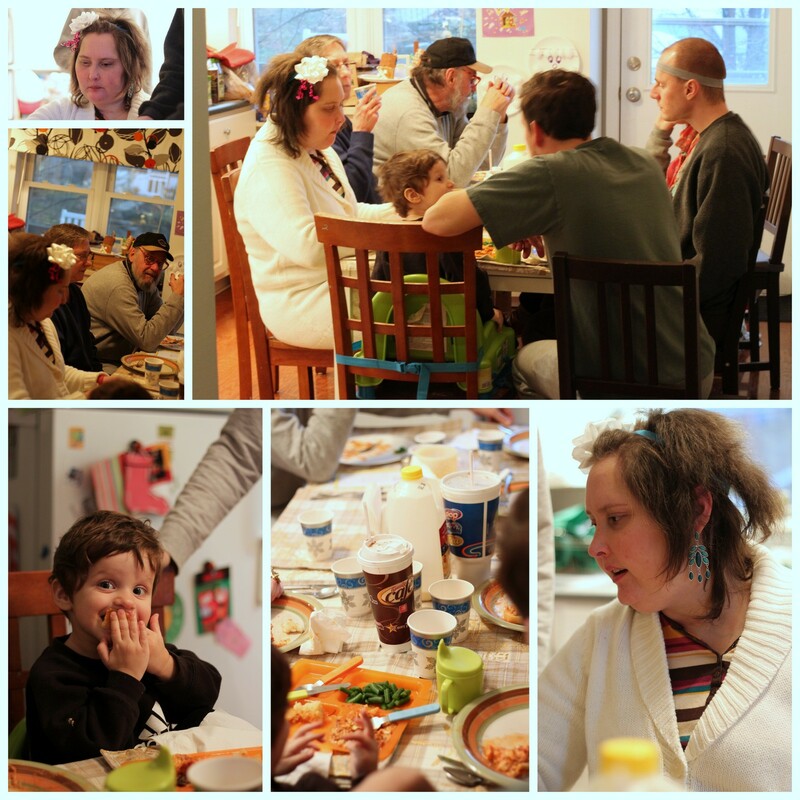 I'm grateful for those moments that etch into your brain, and become part of your unique family history story. I’ve been strolling down memory lane a lot this Christmas/year-end season. Remembering the pleasant parts of the past helps to make the painful present just a bit more bearable. 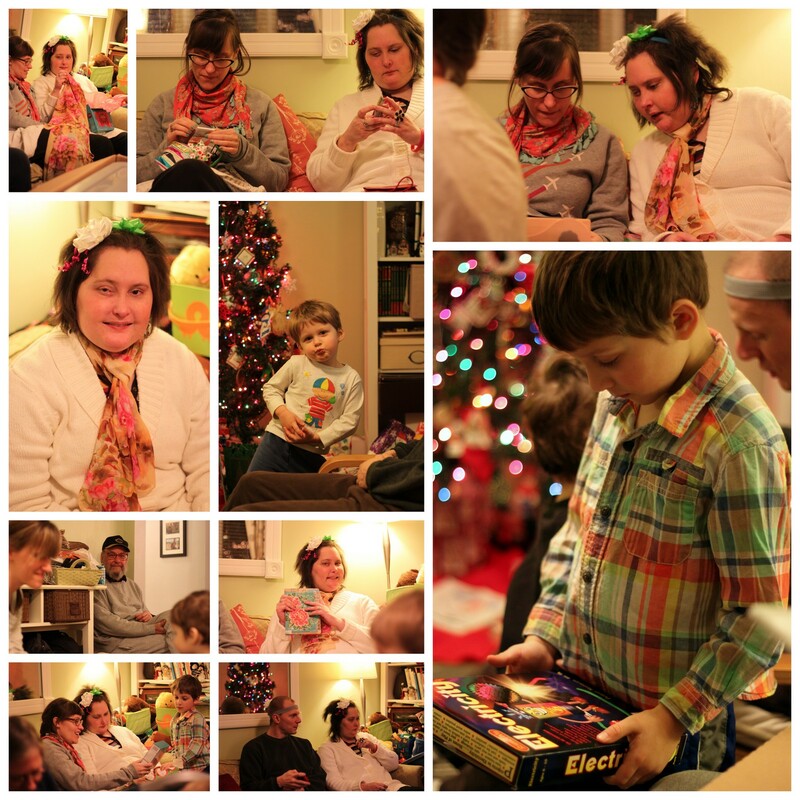 However, the one project I roped the entire family into and I’m going to say they actually enjoyed too, has always been our Blust Family Christmas presents. My mom started this with us back in the early 80’s, helping us with crafting ornaments and cookies for a large number of people each year, from girl scout leaders to teachers to swim coaches to the mailman. I am so grateful that Mom always made sure we realized and recognized the huge number of people that supported us in each year. 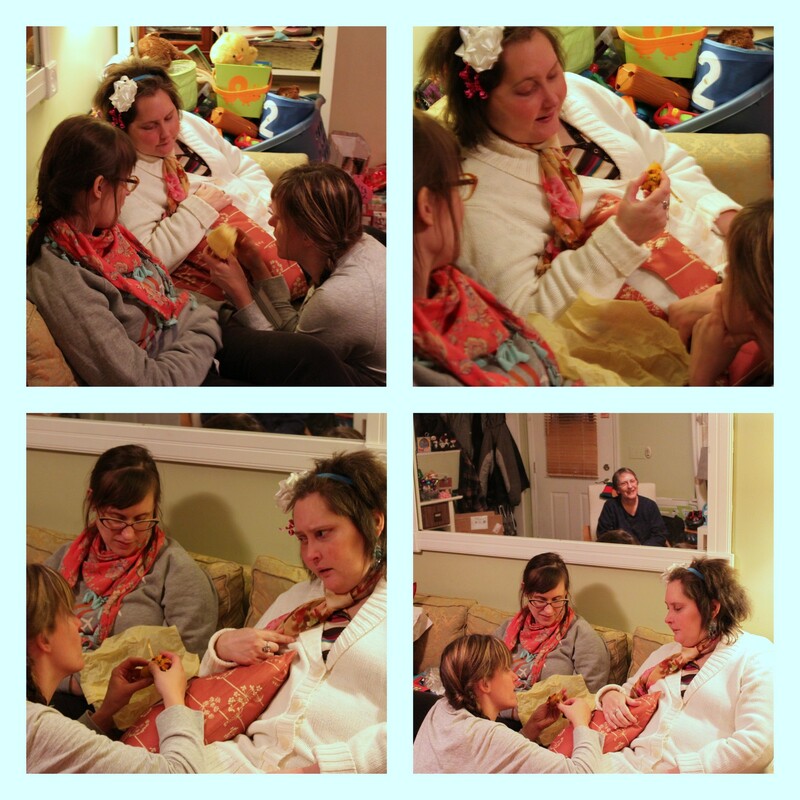 So then it became – Boxer shorts for all the cousins, angel statues for the aunts/uncles! Ornaments for all! Cookies for all! And we’d spend hours and hours and hours planning, and gathering what we needed to make them, and completing all 50-100 of whatever we were making, finally wrapping up anything and putting in a huge fabric bag to take around to all the family parties. I even had my sisters and I log our time working on the gifts in a notebook (because: nerd from birth, I am!). To this day I catch my breath at the sight of many things I or we made all in a row or a pile or a stack – I find it breathtakingly beautiful, this process of thinking of something to create, and then creating a lot of them, and then sending them out into the world to their separate new homes with all the people we love. 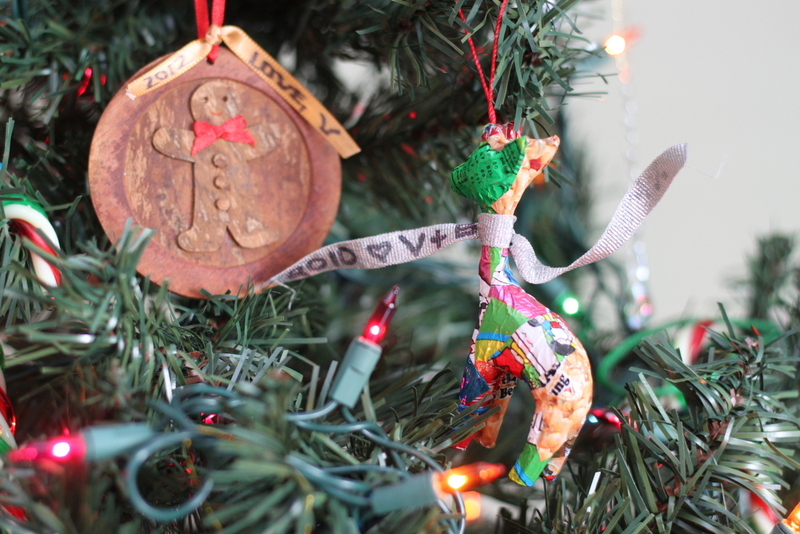 A particular memory that sticks is the year we made little fabric stuffed ornaments. We did this ink-jet toner transfer technique to apply words on them, and after cutting out all the squares, we had a good system going of sewing and stuffing them, before then finally fraying the ends. In the movie of the moment in my mind, it’s near the end tasks of the overlying project, and it’s taken us a lot longer than we expected (as it does EVERY SINGLE YEAR, of course!). I can hear Mom in the laundry room Whhhhrrrrrr at the sewing machine, handing partially or fully finished squares to one of us, who is bringing Mom more to sew while bringing the rest of us the “ready to fray” one. And there the rest of us sit, for hours, fraying the threads of these ornaments. You just sort of pick at it, I can’t remember what we even used (fingers? toothpicks? forks? scissors?) to do the fraying, but do it we did, for what seemed like FOREVER and realistically was many many many hours. And then Vanessa at one point, in a moment of silent fraying, just starts singing…. “So THIS is Christmas…..!” in the most sarcastic tone possible. And my memory movie ends with us all burst into hysterical laughter at that moment, because it was so perfect. We were so sick of the dang ornaments in that second, so regretting our choice to “just sew and then fray the ends to save time” (ha! ), and so ready to be done. That moment was the kind that etches into your brain, and becomes part of your unique family history story. To this day, we still pull out that same one line, sung in exactly the same tone, any time we’re doing something monotonous, Christmas related or not. 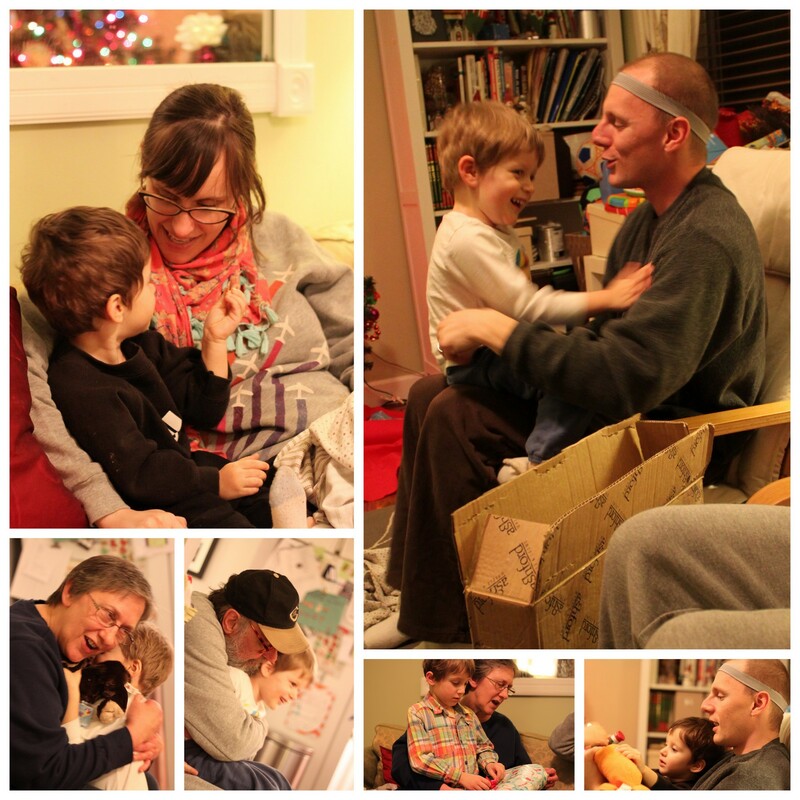 Boring, tedious grunt work… sing it out, “So THIS is Christmas!” It’s one of my favorite memories and family quirks we now have. The thing was… while we all got a much needed laugh from the delivery of that line, and V perfectly voiced how very unChristmasy feeling our labor felt at that minute…. that actually WAS (IS!) perfectly the “Christmas” that I love. 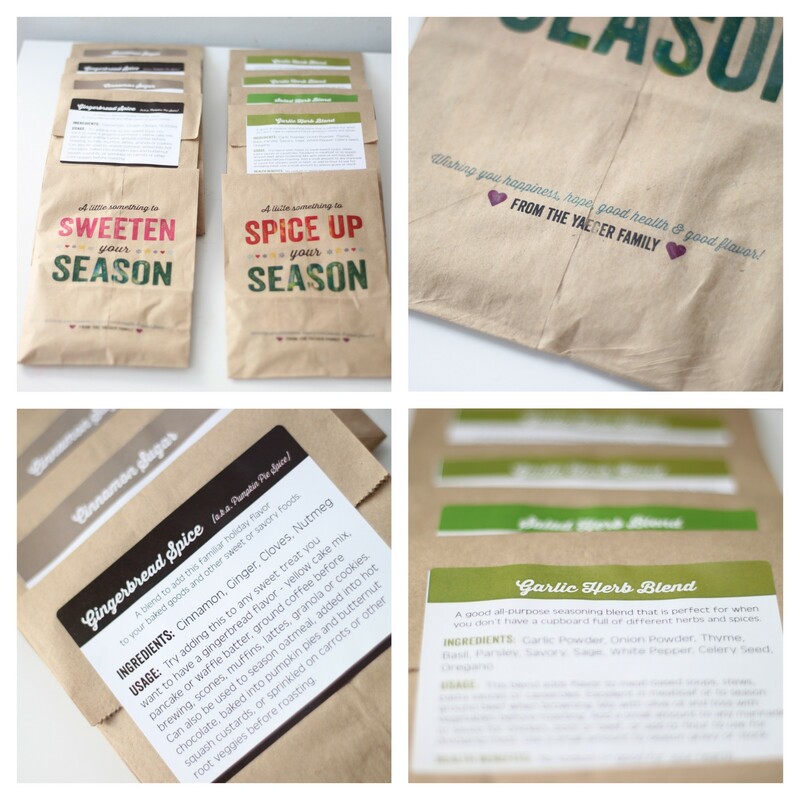 I love the years and years of gift ideas we have came up with and made. I love the time we have spent together working on all the different ideas, disasters in the creating-process included, because we always found a way through or around the crisis. 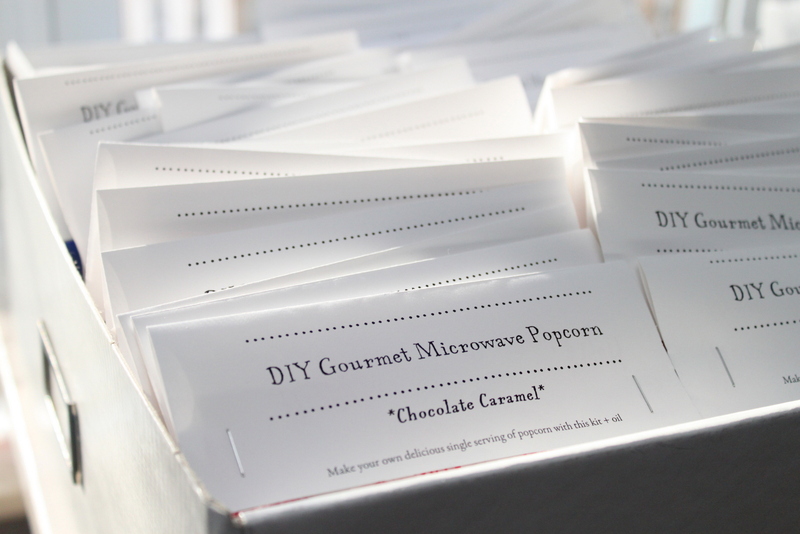 I love our dumbest ideas right on up to our most brilliant ideas. I love the challenge of trying to think of NEW things, so many years into it. And I love that now I have passed it on to my boys as well, this idea and action that my mom passed along to me. Now my kids and I work together (as best as each kid is able to contribute at their age) on “bulk presents” as I dorkily call them, each year. I love that then they see us not just showing up at all the parties waiting to be given presents, but also toting our big bag of stuff we made, together, that we can give to every single person there, all important people that we love and care about. Ornaments for the boys from Vanessa (& Billy) in years past. I am so grateful for those memories, new and old… but they also stand in sharp relief to how this particular Christmas season has felt. 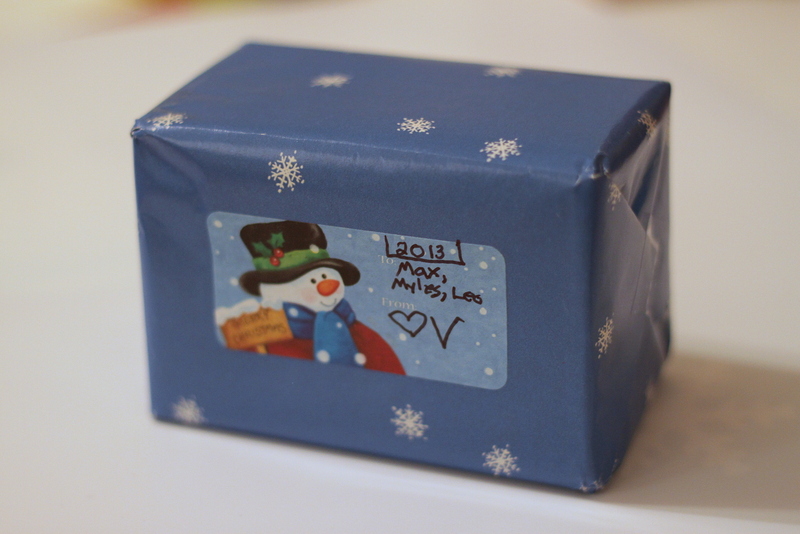 If you’ve been reading along this long (or back this far), you might recall that last year Vanessa and Billy made a massive ornament purchase, that Mom and Christina and Vanessa then wrapped up by individual year, to give my kids an ornament every year for the next couple decades, from Vanessa, with little tags on each in her own handwriting. Brilliant, amazing, and touching, right? Even then a year ago, Vanessa was confused and changing, but she still participated in the project passionately and gleefully. There was simply not a lot of passion or glee in Vanessa this Christmas. It just breaks my heart. A stained glass ornament Dad made for me a few years ago. He called me Squirt the day I was born, and I still answer to it (although only to him!) 33 years later. I love that my “name” is in his handwriting. As my little family decorated our tree this year, I was reminded how things and places and people will always remind me of Vanessa, for as long as I live. We don’t have a coordinated magazine-feature tree at our house; it’s very colorful and ornaments hang in clumps on all the same branches, hung by little hands that chose where to put them. It’s dripping with tacky, with homemade, with names and years written, with special memories and meaning and love. It’s beautiful. 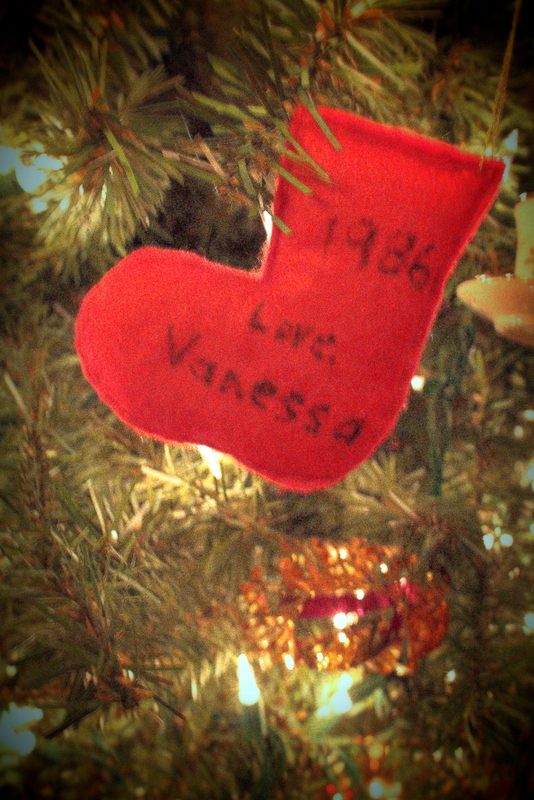 Vanessa is everywhere on my tree, and constantly in my memories, and sometimes in my tears, but I’m missing her soul in this year’s Christmas time. She’s here in presence, of course, and was at all our family parties, and sat in her usual spot on the couch as we did our usual little family things. But Vanessa 1.0, the real V, our V, was almost entirely absent. Billy was working solo this year in purchasing and wrapping all “their” presents to the rest of us. Vanessa wasn’t thinking much about decorations or parties, unlike years past of her preparing for and hosting parties and obsessing over all the beautiful tiny details that she loves. A few minutes past opening a particular present, she retained no memory of who gave her what, or that she had even opened said gift, and that it was hers. V still is making her Christmas list these days, because she forgets Christmas already happened. Vaness picked out what may very well be her last personally selected present for us, giving Mom and Christina and me a big bag full of yarn. There is a huge variety of skeins she chose, and I imagine she picked those that caught her eye with color or texture, still seeing beauty everywhere even through her pain and confusion and exhaustion. Christina and I plan on making some special things with it, and even giving some away to V’s loved ones at future occasions, as a gift, sort of from her, once V can’t be there herself. Oh how I wish she could just be there. The 2013 Vanessa ornament box, from the bigger box stored in my attic with presents at the ready for the next decade plus. Vanessa didn’t remember or understand her role in that, at all. Billy or Jason had the camera (not sure who at this particular point, but thanks, guys!) and captured this sequence perfectly. Going around from top left, clockwise: (1)OOOooh, we can’t wait to see what the ornament was this year! We forgot to have the kids open before they went to bed, so we’ll open now with Vanessa here to see and then have the kids re-unwrap tomorrow. ;) (2) Awww, what a cute little lion, we love them! (3) V: Who was this from? J&C: …You, love, remember getting all those years of ornaments for the boys last year….??? (4) V (with disbelief): Me??? Several years ago, Christina wrote a song that, without fail, makes me tear up at minimum but usually makes me sob like a little baby, every time I hear it. It’s from her perspective of returning home in the winter to the house we grew up with, and remembering the mornings when we were little and all living there still and waking up to see it had snowed. It’s a beautiful song, and also a memory I know I need to sustain me through what’s yet ahead. If you want to hear the love in our little, imperfect, always-struggling family, do press the triangle play button following to listen to the track – (ok so I’m obviously clearly biased, but also, legitimately, I promise) it’s just gorgeous. Winter magnolia sleeps on Rose. Inside, a fire is burning. Outside, the sky is turning an unnamed shade of night. Love lives in these rooms — my mother in the kitchen, my father at the fireplace. Winter magnolia, serene on Rose. Far away, the stars are waking. Right here, the dawn is breaking in endless shades of white. That right there, folks, is why we can do this, despite it hurting so bad and being so amazingly difficult. Why after each time I have a sob fest (in the shower, in the car, in bed, in my cereal) missing my sister and worrying about what she has to endure yet, I can then dry my eyes and keep on. Why we will push aside every fear and concern we have to just love on Vanessa as hard as we can. 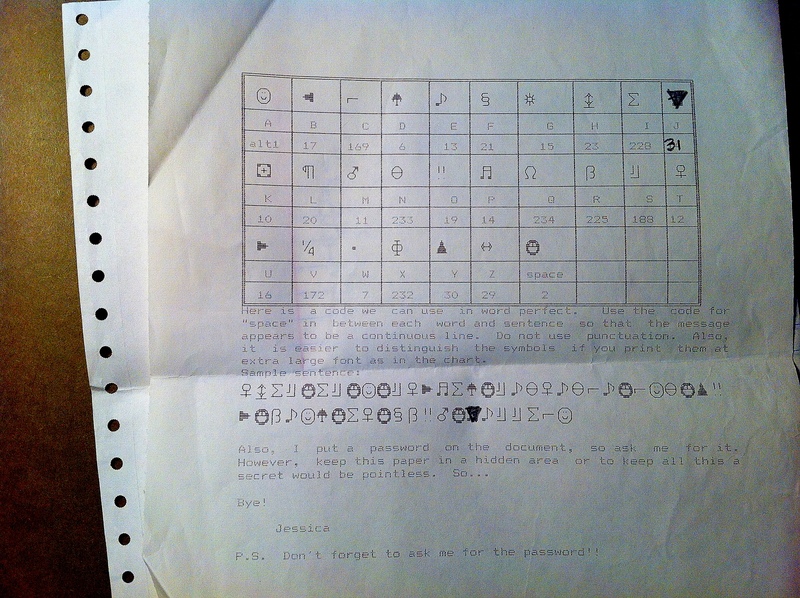 The memories like that, of pure joy shared with my oldest friends in such innocent and simpler times…. those kids in the song are still us. We still have that. We’ll always have that. That will always be the first several decades of my life. Vanessa always exists in that song, in that memory, in that experience. She will be part of any future “bulk gift” I make in the rest of my lifetime. Billy is now woven into our family in ways that Vanessa’s absence won’t change. Love lives. This year for our family Christmas party, we picked sweats as our party theme/attire (a full 180 degrees from the fancy dress of last year! 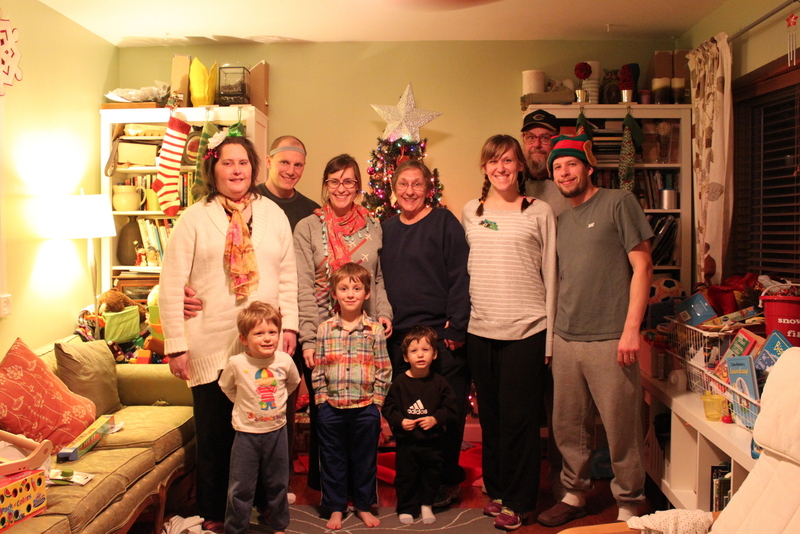 ), and bravely took our customary family picture(s! ), with no one saying aloud it’s likely our last one with Vanessa. When faced with death and unfairness and fear, this family right here stands strong with love, still. A most sincere (belated) happy holidays from all of us to all of you, with gratitude and joy for your part in our story unfolding. Life is nothing more than the sum of our interactions with others and the world. Be good to eachother. 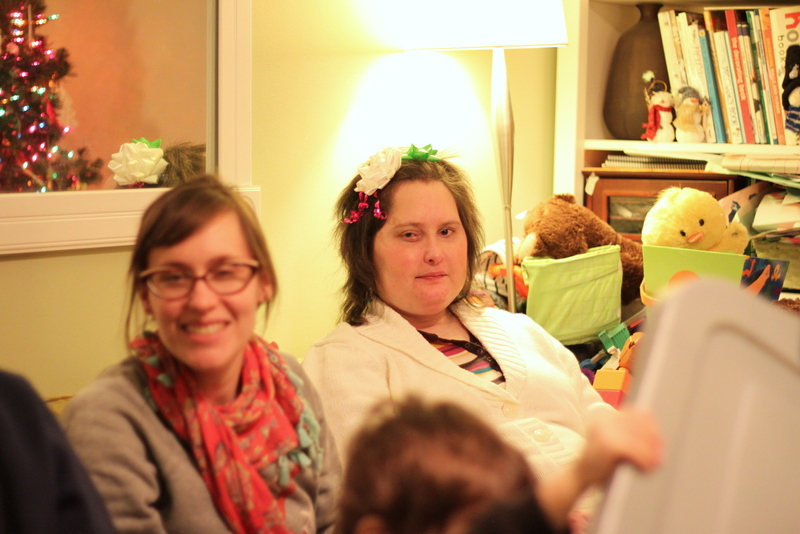 My favorite picture of V from our Christmas gathering this year. Isn’t the sharpest pic in the world, but I love how she made eye contact right as I took the pic and is sitting still and bathed in light as the party bustles around her. And there is even a hint of a V smile there, which isn’t present much of the time any more. LOVE. I am in aww of your family. You and your sisters are what I hope my kids to be, loving, carrying, kind, compassionate, funny, supportive, strong, the list goes on and on. And you have amazing parents. They are so involved with all of you girls and your kids. I think it is unheard of to have such intouch parents. Hats off to them for breaking the mold of what parents/grand parents are these days. Thank you for sharing all you do. I read every blog. You are a true inspiration!! I enjoyed reading your post and loved all your pictures. You give the true meaning to Life. Live Sincerely. Beautifully written as usual Jess! So glad you took the time to compose your thoughts.